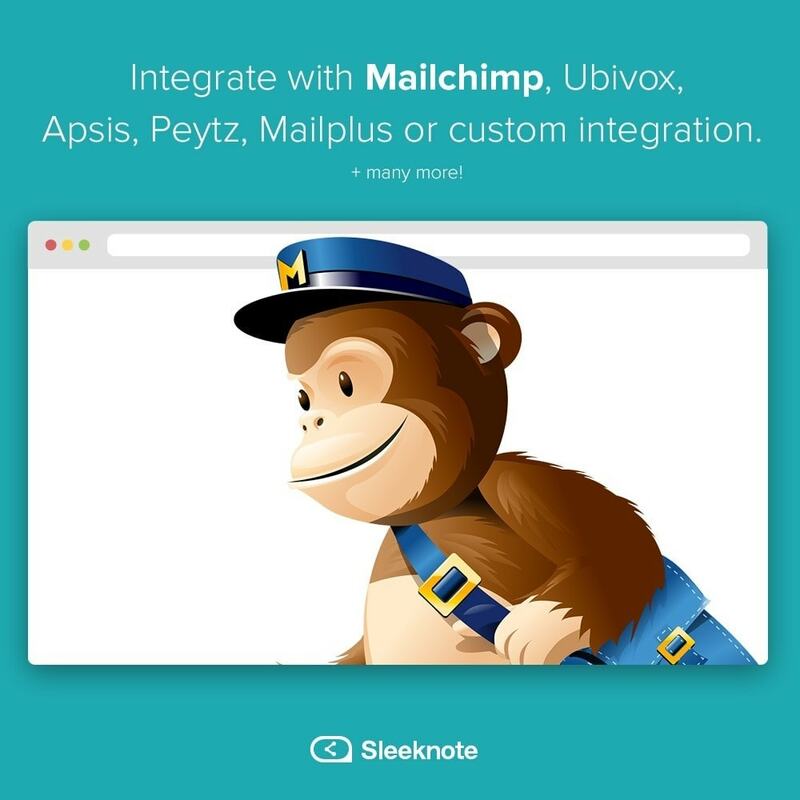 With the Sleeknote module you will be able easily to integrate Sleeknote with your Prestashop. 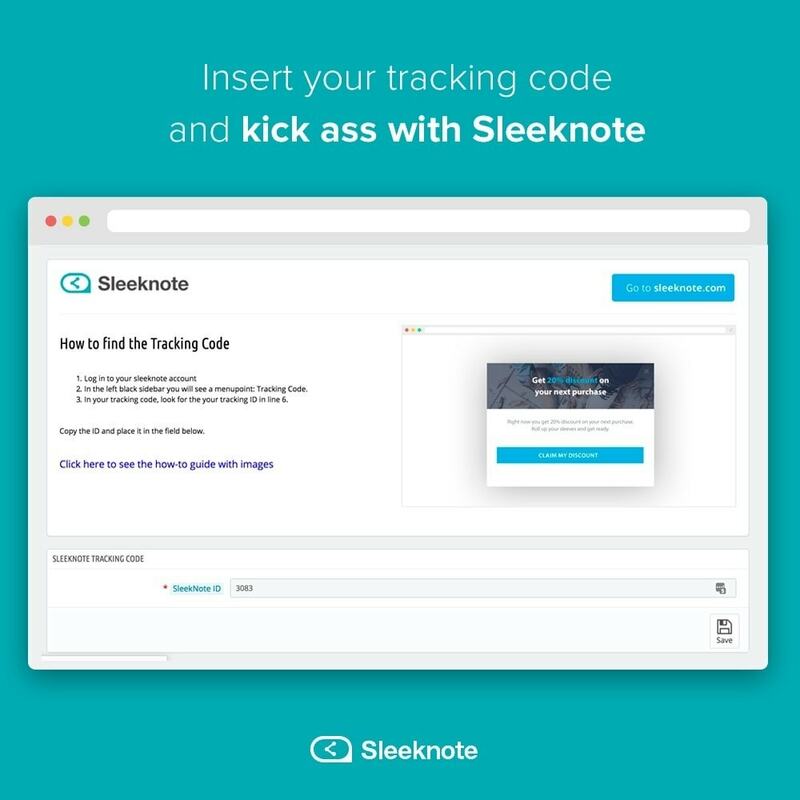 You can finally just enter your Sleeknote ID, and then sit back without having to put the long tracking code in the header of your themes folder. Implements the Tracking Code for you! 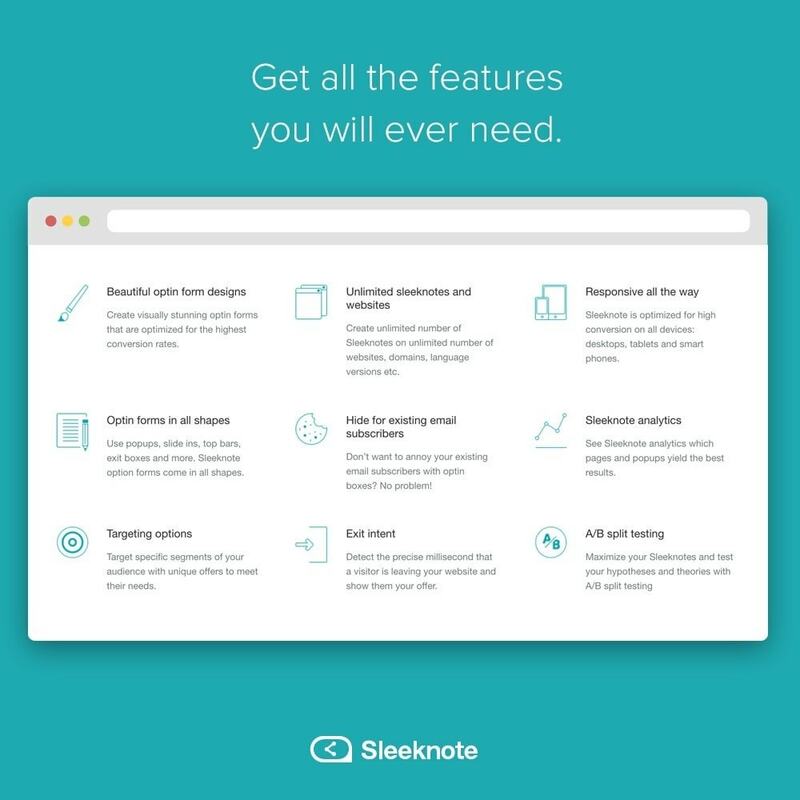 Sleeknote offers on of the best editors and is integrated with dozens of services. 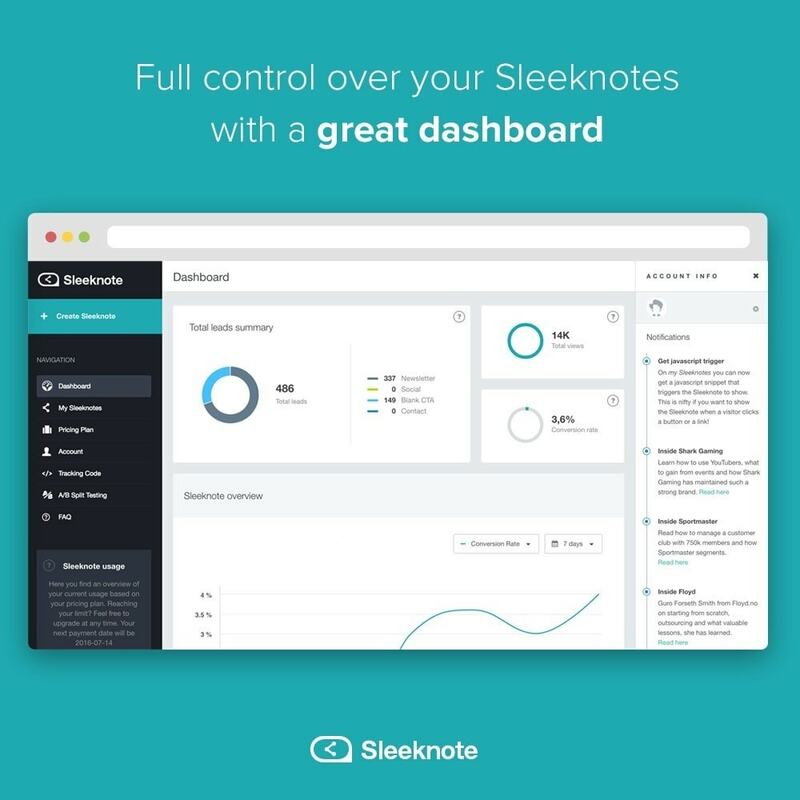 This module is not an offical module by Sleeknote. Let your customers know about your email sign-up, your offer, a competition or a great discount! Remember to read the documentation for how to find the tracking code! Bulldesign is a Danish webagency specialized in the Prestashop platform. With dozens of custom Prestashops and modules made, and a great team of designers and developers, we are offering a great variety of modules to the Prestashop community. Get the ability to change your own backoffice colors, and style your own backoffice theme! With this module you can change the branding colors and logo on your backoffice and backoffice login page. OptinMonster provides everything you need for your webshop to generate leads. With OptinMonster you can create and publish your own popups with a full featured drag-and-drop builder. Have many products and don't have the time to adjust your prices? With this module you can easily crawl prices from your competitors on PriceRunner to your products. That means your products will always be cheaper!